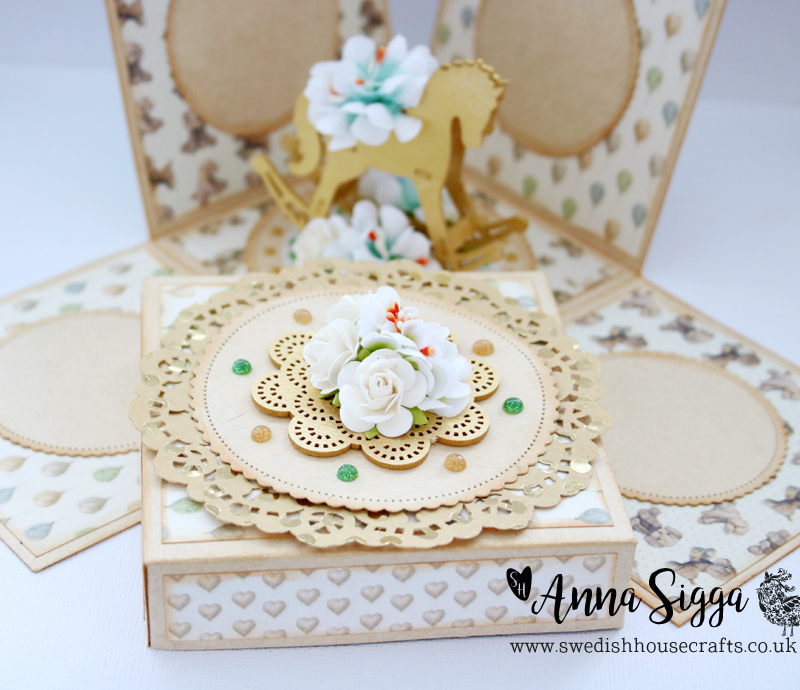 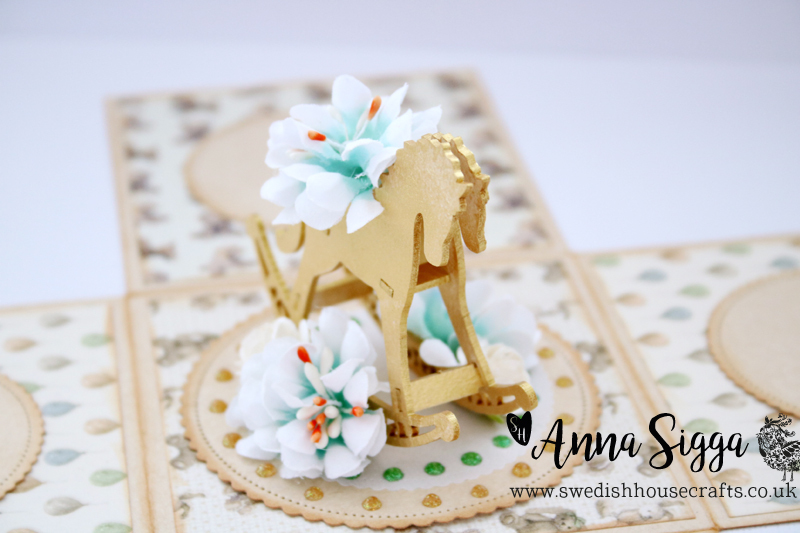 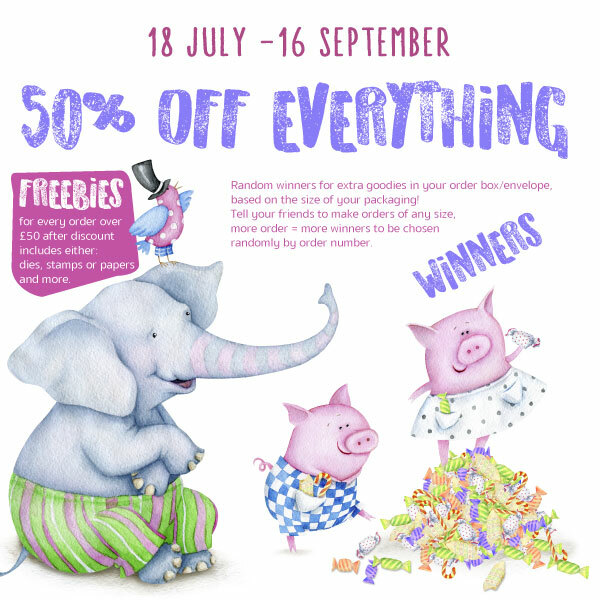 I just adore the 3D chipboard from Laserowe and this rocking horse was just perfect for a baby explosion-box/card. 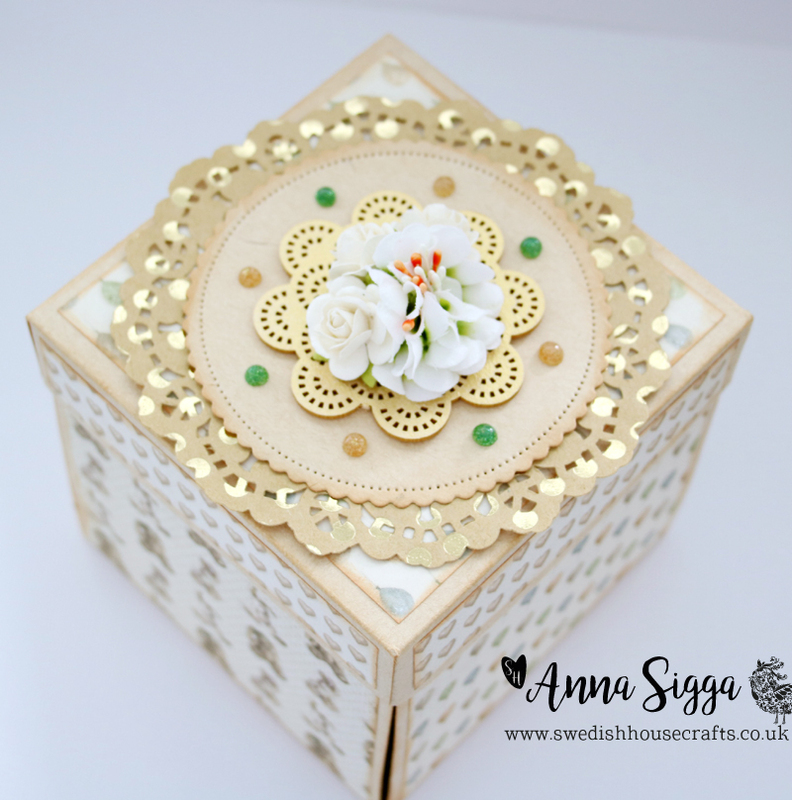 I wanted to keep the box rather clean/classy so I decided to colour the chipboard using my Gold Shimmer spray. 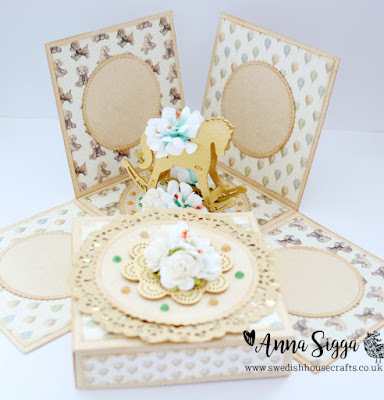 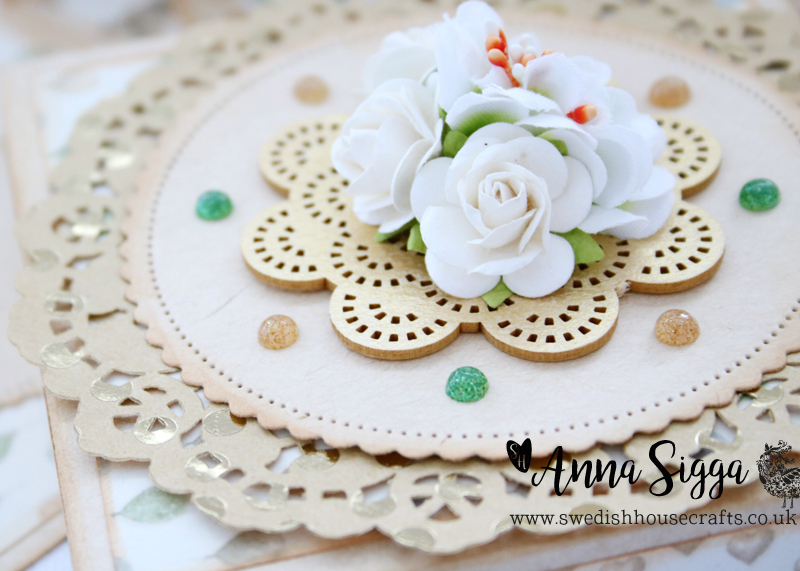 It is really easy to colour the chipboard from Laserowe using glimmer mists and that is my preferred way of colouring them. 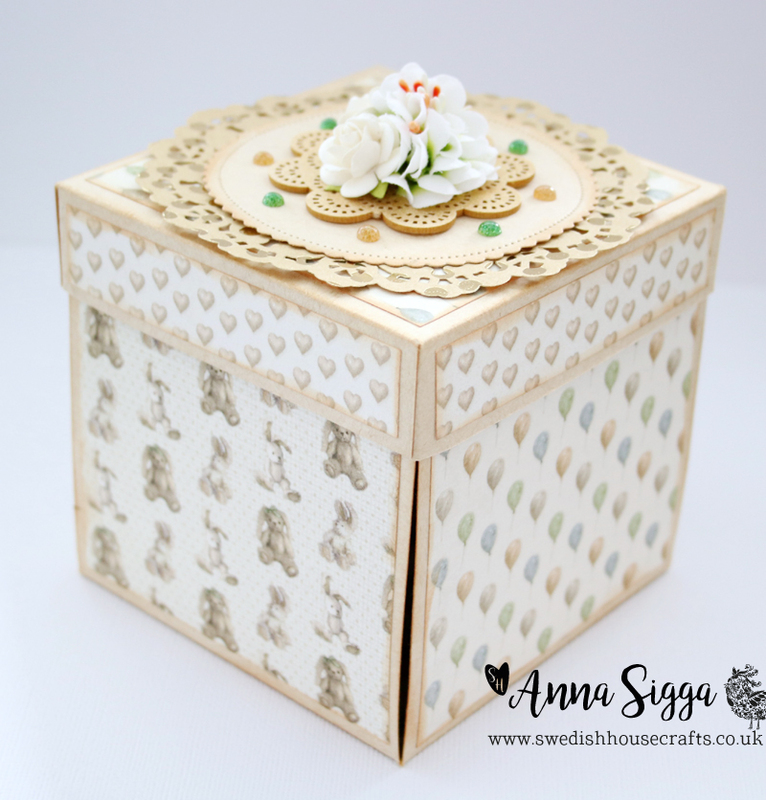 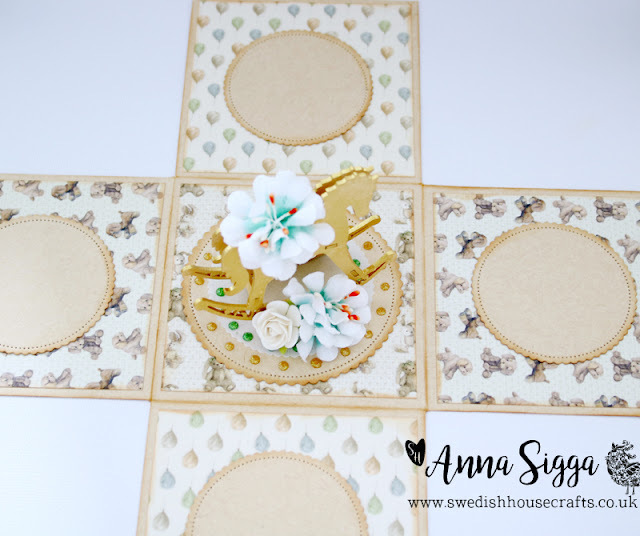 Then I decorated the box using Theodore & Bella collection from Pion Design and of course, I just had to add a touch of florals and sparkliness.